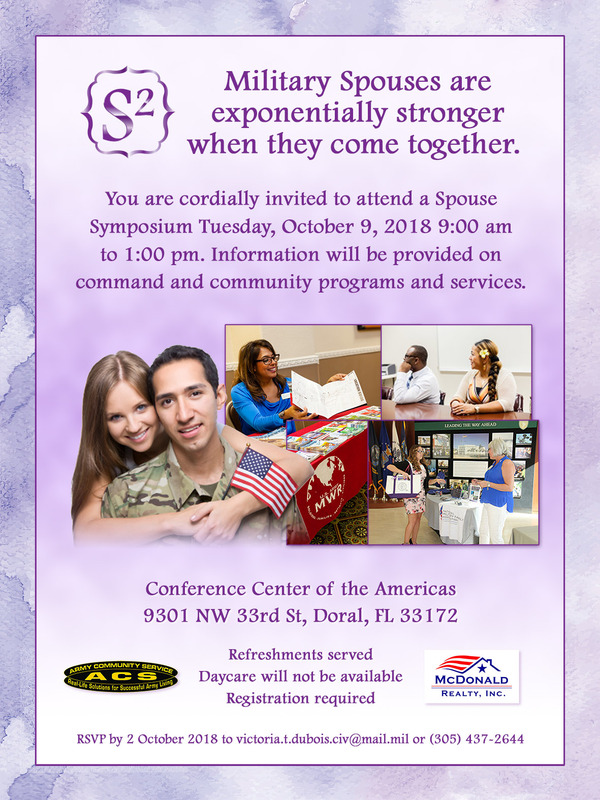 Date: Oct 9 2018, 9 a.m. - 1 p.m.
To provide a forum for military spouses to meet and share. Information will be available regarding access to healthcare, military spouse employment, school liaison services, and personal financial readiness. Registration is required by 2 OCTOBER 2018.